Every Goth and vampire must have black lipstick, so order a tube now. 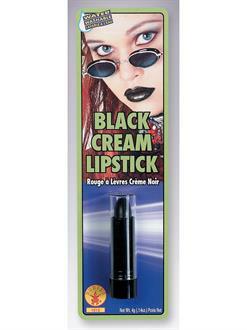 The package includes .4 of cream lipstick. It goes on easily and can be washed off with water. Other costumes that can have black lips include steam punk, zombie, witch and many more.